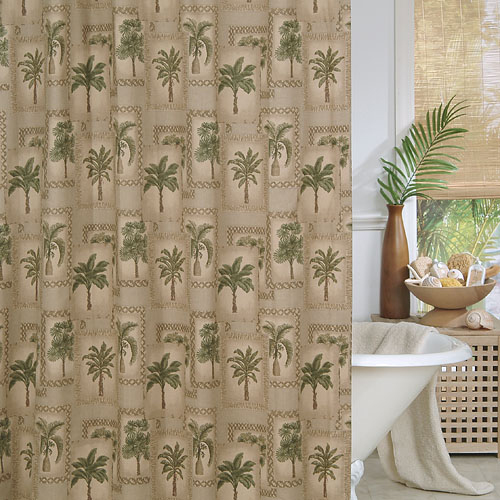 Create a tropical atmosphere in your bathroom with the Palm Grove Shower Curtain. This beach shower curtain features several species of palms collaged with lattice patterns for defining style. Ships from the manufacturer. Allow 1 to 2 weeks. Cannot express ship. For even more offerings, we encourage you to take the occasion to look at our extensive selection of beach shower curtains at Bella Coastal Decor now.